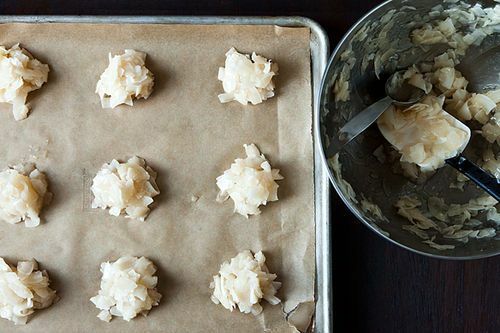 Today: The best way to make a lot of cookies, really fast -- without ever having to wait for baking sheets to cool. You volunteered to make hundreds of cookies although you have a small kitchen and minimal equipment? Parchment paper and several begged or borrowed cooling racks are the key to mass-producing cookies with a single oven and only two baking sheets. 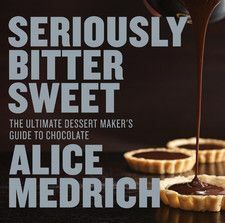 But to keep things moving, you should also know exactly how to break the most common rule of cookie making: the one that says "Always cool cookie sheets before putting a new batch of raw cookies on them." It is true that a hot pan will start melting (and ruining) the first scoops of dough before you fill the rest of the sheet. However, if you can put all of the shaped cookies on the pan at one time and put the pan into the oven immediately, there’s no harm, no foul. Of course, baking times may be shorter by a minute or so. Mix all of the dough ahead, whenever you have time, and accumulate it in the fridge for 3 to 4 days, or in the freezer for longer. I like to shape butter cookie dough into logs to slice and bake or make batches of chocolate chip cookie dough to be shaped with a spoon or scoop. On baking day, position a rack in the upper and lower thirds of the oven (assuming a regular, non-convection oven) and preheat the oven as directed in your recipe. 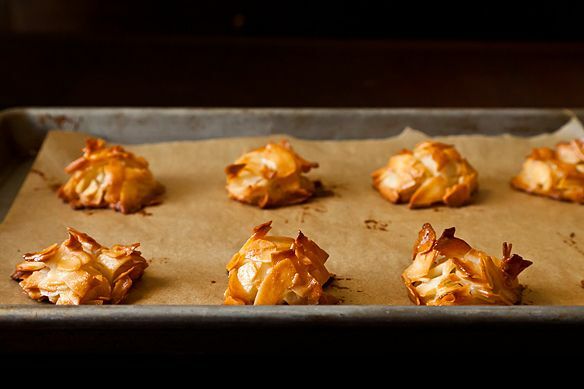 Shape cookies and arrange them on the two parchment-lined pans. Bake as directed, remembering to rotate the pans from top to bottom and front to back about halfway (or a little more than halfway) through the baking time. While the cookies are baking, continue to form and arrange raw cookies on more parchment sheets set on the counter. As soon as the first cookies are done, slide the liners with hot cookies attached onto the cooling racks (the parchment will not be too hot -- but don’t touch the pan). Slide new cookie laden parchment sheets onto the hot pans and put them into the oven immediately. Continue the performance until you drop, or all of the cookies are baked -- whichever comes first! As cookies cool, remove them from the racks to make room for new hot sheets. Cookies should be thoroughly cool before storing them in airtight containers. Otherwise they will become soggy (even moldy!) or misshapen from trapped steam. For recipes and more about cookie baking, see Chewy Gooey Crispy Crunchy Melt-in-Your-Mouth Cookies (Artisan, 2010). Yo, where's my cookie recipe? I do this all the time! My oven only has one rack (I know! It's a rental) and I have two beloved professional half sheet pans. I bake one and load the other, then switch. If you let the just-baked cookies cool for a bit in the pan before you put them on a cooling rack, your new batch won't start cooking too much before it's time to switch. With cut-out cookies, you can also cut as you bake and stack up cut cookies, waiting to be put on the hot sheet. 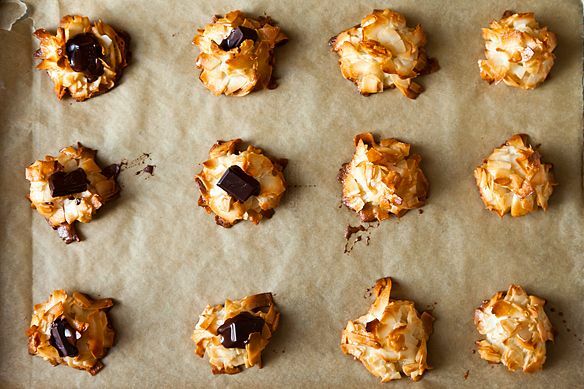 That way you won't have half the cookies overbaked from pre-cooking.